This sweet design will look wonderful on garden aprons, shirts and more. Fits the 4x4 hoop. Ace Points Embroidery is giving 65% off all purchases! Promotion ends on 04/30/2019. Earn 4 points at checkout OR buy this item for 70 points. Finish Size 3.86" x 3.22"
This design is also available in a larger set. 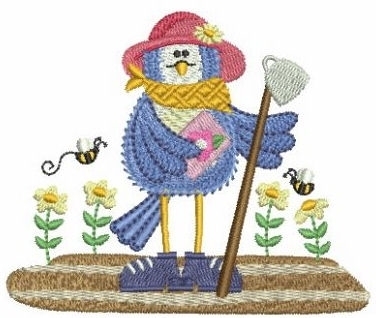 Just click on the "Blue Garden Birds Set, 12 Designs - 4x4" link above in the "You might also like" section for more information.